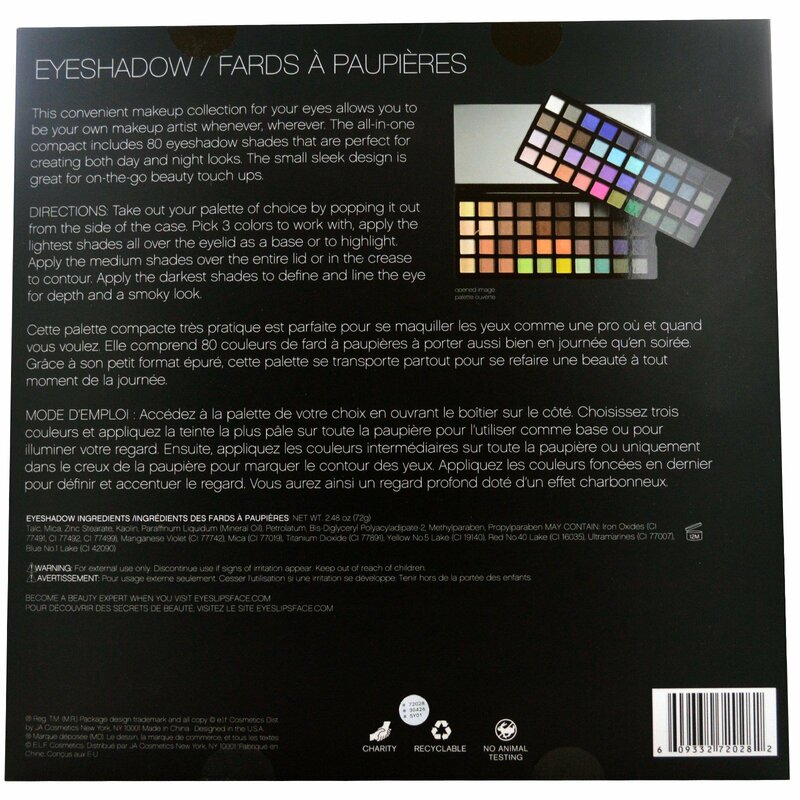 This convenient makeup collection foryour eyes allows you to be your own makeup artist whenever, wherever. 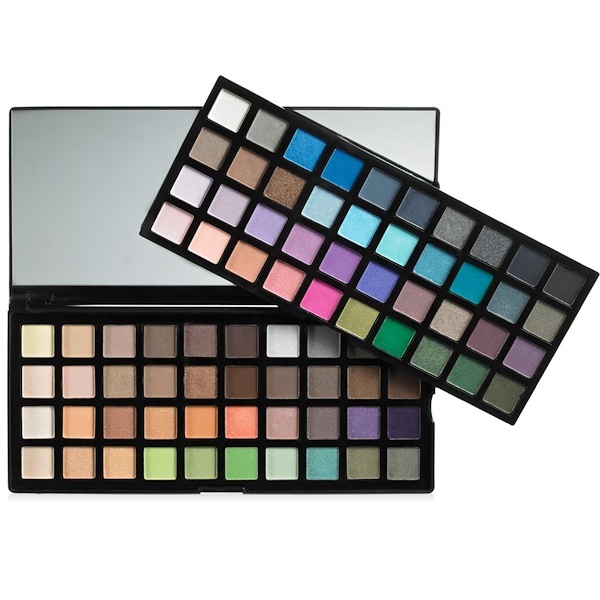 The all-in-one compact includes 80 eyeshadow shades that are perfect for creating both day and night looks. The small sleek design is great for on-the-go beauty touch ups. 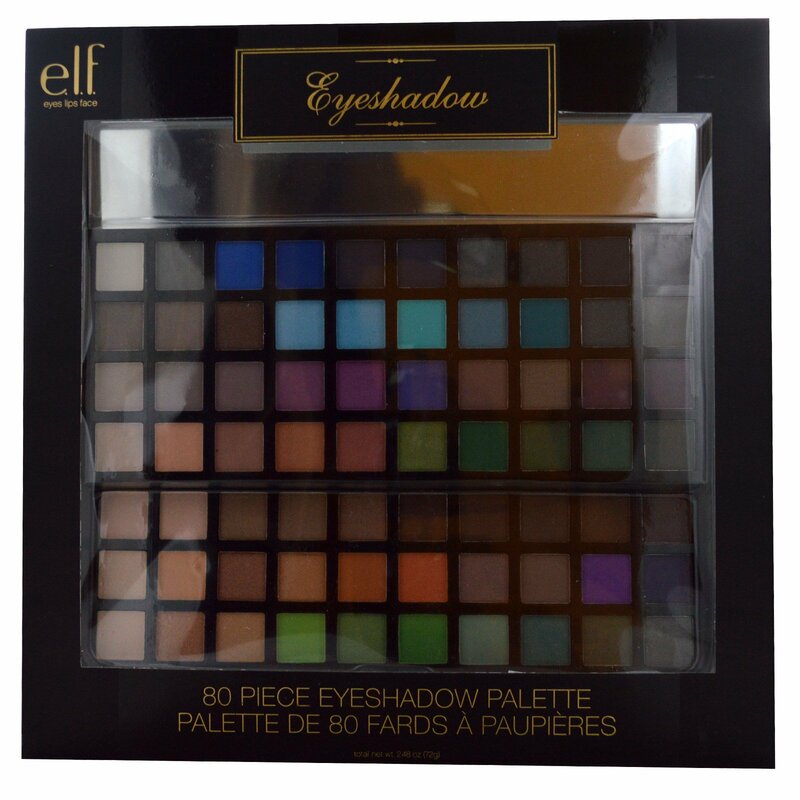 Directions: Take out your palette of choice by popping it out from the side of the case. Pick 3 colors to work with, apply the lightest shades all over the eyelid as a base or to highlight. Apply the medium shades over the entire lid or in the crease to contour. Apply the darkest shades to define and line the eye for depth and a smoky look. For external use only. Discontinue use if signs of irriation appear. Keep out of reach of children.